2014; whatta year, right? Tons of ups, lots of downs, way too many Kardashians … but let’s not talk about all that, let’s talk about books. These four were my favorites of ’14; three of them are garden related, one of them is not. Three of them are moveable without a forklift, one of them is not. 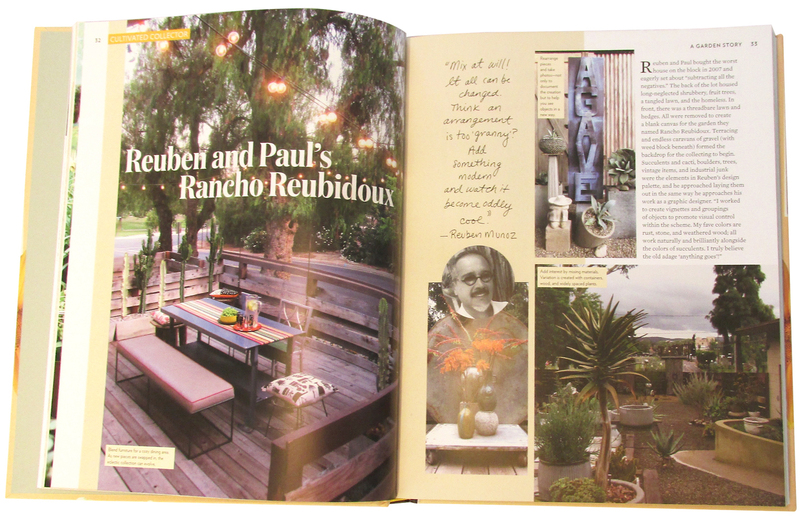 One of them devoted 3 pages to Rancho Reubidoux, three of them did not. All are overflowing with satisfying artistic inspiration, uplifting design solutions and lavish photography. All share that transporting quality that makes you wish you were there … one even had me considering air travel to a cactus garden in Spain — that’s some book! Please don’t be daunted by the list prices shown; if you go through Amazon.com you can usually buy them for less. Just click the link at the end of each blurb. 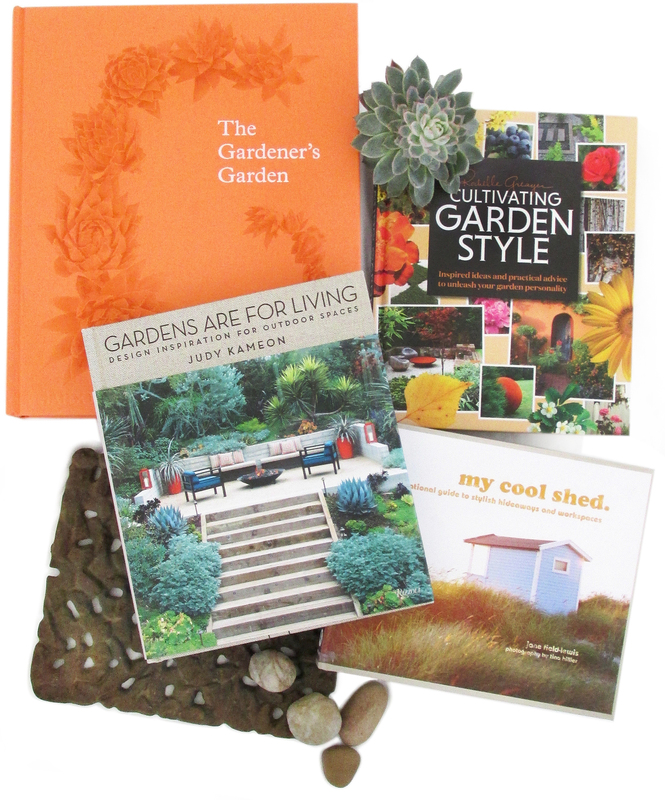 Cultivating Garden Style: Inspired Ideas and Practical Advice to Unleash Your Garden Personality, by Rochelle Greayer. Timber Press, 2014, $35. Over 300-plus pages, Greayer treats the reader to 23 very different types of gardens, breaking each down to its basic style components within 4 categories. Through deft use of photographs, advice, tips, infographics and quotes from the gardeners themselves, the author ably presents what might have been a complicated and overbearing endeavor. I find myself returning to this book, each time seeing something new, something I missed, something I can use in my own garden. I’m particularly drawn to pages 32 through 34 (shown above) in the section devoted to the Cultivated Collector. Go figure. Buy it here. | Bonus: I will send a copy of this book to the tenth reader who leaves a comment. 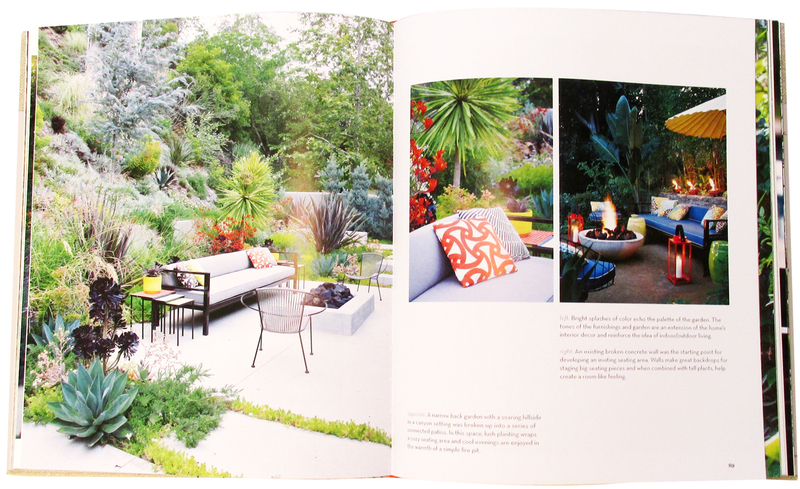 Gardens Are For Living: Design Inspiration for Outdoor Spaces, by Judy Kameon. Rizzoli, 2014, $50. With an introduction by none other than design guru, Jonathan Adler, this book takes us into the rarefied spaces of the author’s celebrity clients as well as others. Never predictable, Kameon’s garden designs hearken back to mid-twentieth century California and its indoor/outdoor-living philosophy. Chapters cover cooking, art and relaxation in the garden, as well as advice and plant suggestions (lovingly illustrated by the author). As aspirational as these highly refined outdoor spaces can appear, readers shouldn’t be daunted. There are lessons and inspirations to be gained by studying both the well-presented information and photographs within this beautiful book. I can’t get enough of this one; it’s perfect. Buy it here. The Gardener’s Garden, by Madison Cox and Toby Musgrave. Phaidon, 2014, $80. This book is a true heavyweight, in terms of size and weight as well as number of gardens shown. 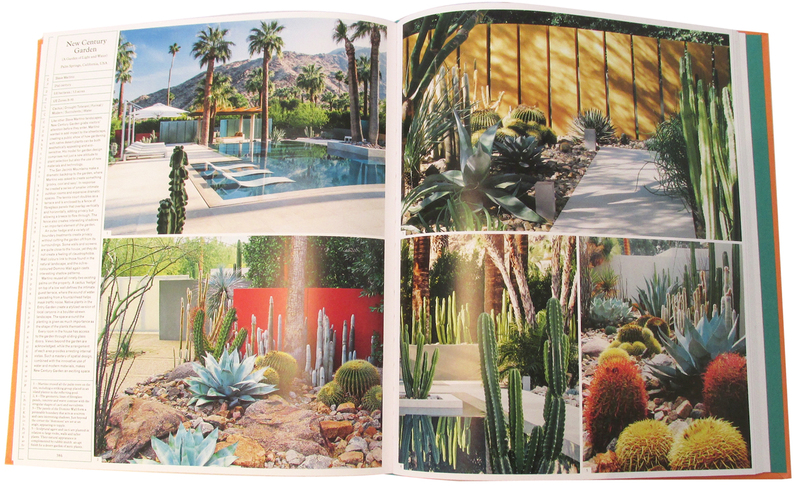 A compendium of more than 250 of the world’s most dazzling gardens this book is best taken in small doses. I recommend selecting a continent at a time for perusal, spending some time there before moving on. Unsurprisingly, I absolutely loved the gardens of South Africa, Australia and South America, with their succulent-heavy gardens. However, the Asian gardens were a surprise favorite, too, with a particular garden in Singapore seeming to be the creation of the CGI engineers on a big budget sci-fi feature film. This book is for anyone interested in the world’s gardens, their design, their history. A true investment. Buy it here. My Cool Shed: An Inspirational Guide to Stylish Hideaways and Workspaces, by Jan Field-Lewis. Pavilion, 2012, $25. Published in 2012, this book may have been a bit ahead of its time. Or maybe I’m late to the shed party. Whichever, I discovered this book last year and loved it. Of course the idea of a room/shed in the garden in which to concentrate one’s creativity only makes the most perfect sense. Paul expunged our own backyard’s largest shed of its detritus and found the perfect quiet spot for reading and study. Which came first, the book or Paul’s shed? I don’t honestly remember. But I know he loves his, as do the artists, writers and musicians profiled within this book. Buy it here. As anyone who’s visited the Rancho knows, books occupy a large part of our personal space. I love each and every one, yet will cheerfully make space for others. If you have a book recommendation I’d love to hear it. If you have an odd book of your own that you think might appeal to me and would like to sell it, I’d love to see it! Would love a free book, but I can afford to buy one myself, so I’ll start the ball rolling. Only 9 more comments to go. Reuben, your book choices have me totally inspired! Equally inspiring–choosing a book from my collection to send to you! I am on the hunt for something you’ll love! It is interesting looking back at one’s garden, DD. I love being in the Greayer book but find it ironic that the garden shown in it no longer exists. Thanks for commenting! I doubt I’m 10 (even thought the counter shows 9 comments, but 4 of them are you so that wouldn’t fair) but I do love your selections and I already have 2 of them (the gardener’s garden and gardens are for living). Yeah, sorry Loree … but glad you’ve got those two books already. They’re both great! C’mon, Remade, there’s always room for one more book! Do what I do: Donate a book you or two you haven’t looked at in a while to a local library or school … suddenly you’ve got space for more. Thanks for commenting. I think I’m going to have to buy “My Cool Shed.” Perhaps I’ll be able to inspire Bill to help me redo the shed we have up on the hill to something more pleasing to the eye and, create a space for creative works. Hey, WF, “Shed” is a small book but it will leave you inspired. Get it, leave it lying around where Bill can find it, and it won’t take long, he’ll be inspired too! So good to have you back. I look forward to reading your postings. We are having some extremely strong winds right now and my plants are taking a beating. We have a bodega that I need to make more attractive, and could use some ideas. I think I need to check out “My Cool Shed”. Thanks for the info on the books. Good to see you, Val! We had some super-strong winds too, recently, and I was really afraid a large branch would fall from our eucalyptus tree… good luck with your plants and order the shed book. You’ll love it! How wonderful that your fabulous backyard was included in that book. You must be overjoyed! I love garden books and these look extraordinary. I’m happy to have you back, Reuben. I’ve missed your posts. Mmm, books! About gardens!! And one week left of winter vacation! Always so happy to visit this blog. Take care, you guys! They’re perfect for vacation reading, Luisa! I just read and reviewed Rochelle Greayer’s book at Digging — really enjoyed it. I was surprised and pleased to see your garden in it! Congrats on that! My husband gave me the tome, A Gardener’s Garden, for Xmas, which I’d been wanting since reading Danger Garden’s review. It’s excellent reading. I’m poring over it slowly, one garden a day. I read Judy’s book last year and loved it. The shed book sounds interesting too, so thanks for the heads up on that one. Thanks, Pam! I still can’t believe I’m in Rochelle’s awesome book … I like your garden-a-day approach to Gardener’s Garden, there is so much there it can be overwhelming. When can we expect your book?